I know it has been many years, but I still think of CPT Jarabek from time to time. I was one of the Crew Chiefs in the 236th when CPT Jarabek first came to the unit. I was with her on several training flights. I could tell she was an very intelligent woman. Also through simple everyday casual observation I could tell she and I had similarities, but honestly I never took the time to initiate a conversation with her. That's just not something a enlisted man, I was a Specialist at the time, well not something that he does. I never spoke to her outside of being on the ICS system in the aircraft, I never spoke to her unless it was mission oriented. I saw her all of the time, in the flight planning area, around Camp Bondsteel. Though I never took the time to talk to her. After being in th 236th I wound up reclassed into the Infantry during the war...in both Afghanistan, and Iraq. At times I can picture a list in my mind...a list that starts with someone I grew up with...a list that seems a little too long...a list of people who are now remembed as casualties. After a while I learned that another name had been added to the list. I learned about CPT Jarabek's passing two and a half years ago. Though I really only knew her for a few months, it still impacted me. I still think about those times being in that unit. I still think about her. I wish I had talked to her. I wish I had not paid attention to the Army's way of doing things. I wish I had taken the time to talk to her. In 2/30 INF when we were down range...or even in the rear...I made a point to always talk to my soldiers. They were trained, they did their duty, but they always knew I was there and truly cared. I felt it was something taught to me, by knowing CPT Jarabek. Even when it made people think I was a "joe lover"; I made sure that they knew...no matter what, they could talk to Sergeant Rich. 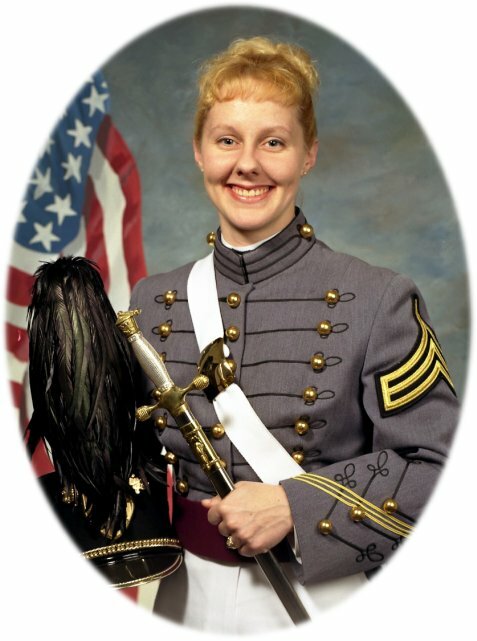 I just wish I had talked more with CPT Jarabek when I had the opportunity to know her. I'm a civilian now for nearly a year...but a friend of mine commands a Active Guard Air Ambulance unit, and they are scheduled to go to Afghanistan. He's talked me into joining the unit in a full time capacity come January...so I can help with the training and the deployment. One of the things I'll take with me back downrange...is my memory of CPT Jarabek. I thought of her again today, and wrote this for her. I'm sure she is someone I will never forget.